What a gem in Waterstone! This 4/2.5 with Den is gorgeously updated featuring quality, thick granite counter tops in the Kitchen and Baths, tiled living areas, laminate flooring in Bedrooms, custom TV stand with ambient lighting feature, custom Kitchen cabinets, stainless appliances, Master walk-in closet, Roman tub and shower in Master Bath plus much more! Large corner lot with enormous yard. Den can be 4th Bedroom or converted back to Dining Room if desired. New AC in 2013. Move-in ready! This wonderful home has 4 bedrooms and 2.5 baths, with an extra room. It sits high on the land and is on over 1/4 acre with well manicured garden and Oak, Palm, Jasmine and Mango trees, fully fenced. Newer 30 year roof with double insulation! 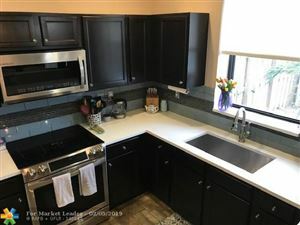 Nice kitchen, tile throughout, bright & airy! Well water available and propane gas used. Accordian shutters for all windows. Not in a flood zone. Close to hospitals & airforce base & sports fields. Close to shopping & turnpike. Huge patio 20 x 18. Canal next door for great fishing, 2 parks next door. Don't wait for this one! Just reduced....motivated seller! Located in the highly desirable community of Silver Palms, this residence offers you the benefit of local amenities and entertainment. This home features fresh designer paint scheme that complements the ceramic tile throughout the first floor, with a spacious living area and beautiful lake views from both the family room. Gourmet kitchen showcases gorgeous wood cabinets, brushed nickel hardware, stainless steel appliances, and backsplash. Bedrooms are lined with laminate flooring and modern fixtures. YouGÇÖll appreciate the private, low maintenance backyard complete with a sweeping patio. Amenities include: State-of-the-art fitness center, ChildrenGÇÖs playroom, ChildrenGÇÖs pool, playground, saunas, Outdoor gazebo with BBQ and so much more. Request a viewing today! Seller will contribute $3,000 towards buyer's closing cost with full sale price.2/1 corner lot. Park r/v, boat & more.Can be converted to 3 bdrs.Easy access to turnpike/US1.Shopping/walking distance to schools. Concrete flat roof, impact front door/windows, new electrical panel/wiring with permits.New A/C/10 year warranty. New porcelain tile floors, painted inside/out. New kitchen cabinets/granite counter tops.SS appliances. Ldry room/washer/dryer indoor access/outdoor entrance.Enclosed terrace. 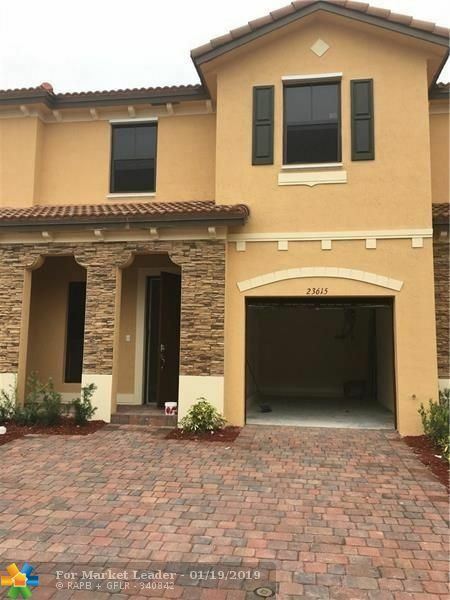 BEAUTIFUL & AMPLE TOWNHOME IN SILVER PALMS, 3BDR/2.5 BTH/1 CAR GARAGE + 2 ADDITIONAL PARKING IN DRIVEWAY, BUILT IN 2015. THE UNIT FEATURES LIVING-DINING AREA, FAMILY ROOM, AND SPACIOUS KITCHEN WITH STAINLESS STEEL APPLIANCES. THERE IS TILE FLOORING IN SOCIAL AREAS & CARPET FLOORING FROM STAIRS UP TO 2ND LEVEL. MASTER ROOM IS HUGE WITH TWO WALK-IN CLOSET & SPACIOUS BATHROOM. LAUNDRY AREA IS CONVENIENTLY LOCATED ON 2ND FLOOR. EQUIPPED WITH TANKLESS WATER HEATER AND SHUTTERS. ENJOY THE PRIVACY OF A FENCED PATIO & WATER VIEW. VERY NICE 2 STORY CORNER HOME + CAR GARARE, + GUESTS. 4 BEDROOM 2.5 BATH + PATIO + BACK YARD. LARGE ROOMS AND WALKING CLOSET. VERY LOW MAINT. LOCATED IN A GATED COMMUNITY JUST 2 MINUTES FROM TURNIPIKE QUICK APPROVAL. TOTALLY UPDATED BEAUTIFUL 2 BED 1 AND HALF BATH CONDO WITH NEW KITCHEN CABINETS, NEW STAINLESS STEEL APPLIANCES, NEW WATER HEATER, NEW CLOSET DOORS, NEW BEDROOM DOORS, NEW BATHROOMS, SCREENED-IN BALCONY, NO HOPA, TWO COMMUNITY POOLS, CLUB HOUSE, BASKETBALL COURT, GATED COMMUNITY, GUARD AT GATE 24/7, LAKE TO FISHING CATCH AND RELEASE, SHUTTER PANEL LOCATED IN LAKE SHORE COMMUNITY CLOSE TO FLORIDA TURNPIKE, US 1, FLORIDA MALL AND THE FLORIDA KEYS. PETS OK, LEASING OK, NO APPROVAL NEEDED. GORGEOUS & SPACIOUS TOWNHOUSE LOCATED IN SILVER PALM. FEATURES 4 BED AND 3 FULL BATHS PLUS HALF BATH ON GROUND FLOOR.MASTER WITH WALK IN CLOSET AND LARGE MASTER BATHROOM. 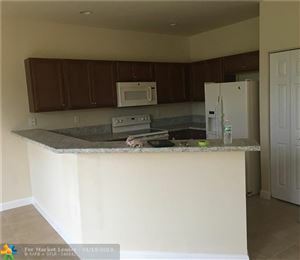 TOP OF LINE KITCHEN WITH STAINLESS STEEL APPLIANCES, PANTRY & QUARTZ COUNTERTOPS. TILE THROUGHOUT THE HOUSE,WINDOW TREATMENT, HURRICANES SHUTTERS. VERY NICE CLUBHOUSE WITH A LOT OF AMENITIES (POOL /KIDS POOL /SMALL WATERPARK/GYM). ONE CAR GARAGE WITH A LOT OF SHELVES & CABINETS FOR STORAGE. CUSTOM WARDROBE. VERY NICE NEAT & CLEAN HOUSE. 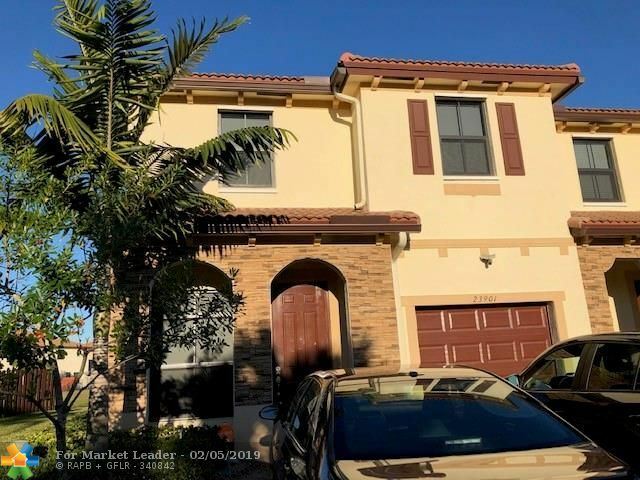 NEW BEAUTIFUL 2016 TOWNHOUSE OF 3BED/2.5BATH IN A RESORT STYLE COMMUNITY WITH CLUB HOUSE, POOL, GYM, PARK, PLAYROOM.., OPEN FLOOR PLAN HIGH VOLUME CEILINGS, TILED THROUGH-OUT FIRST FLOOR AND CARPET ON THE SECOND FLOOR. HURRICANE SHUTTER. SPACIOUS KITCHEN WITH WOOD CABINETS. 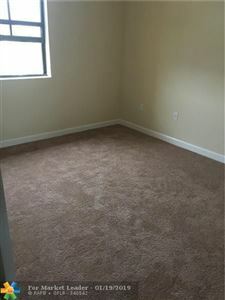 PLENTY OF LIVING/FORMAL SPACE AREA. WASHER & DRYER, FENCED BACKYARD WITH PLENTY OF SPACE.